Full of heart and comedy, Shazam! is a big bright superhero flick that shows the simple approach can still make for a top tier blockbuster. Shazam! takes comic book movies back to a place they haven’t been for a while. It offers up a fun ride with realistic undertones that isn’t afraid to be a little mature at times. 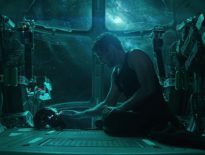 The film is less concerned with being broad, and as a result, it delivers a more appealing superhero movie than some of its DC Comics contemporaries. But even at its most basic, Shazam! is an enjoyable adventure bolstered by entertaining characters, a compelling story, and an important message. Shazam! is the story of Billy Batson (Asher Angel from “Andi Mack”), an orphaned teenager with a tendency to shun family and authority. His latest foster family is diverse and welcoming, but Billy still holds out hope that he can find his mom and his true family. 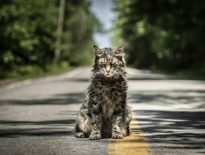 He bonds with Freddy (Jack Dylan Grazer from It), Darla (Faithe Herman from “This is Us”), and his other foster family members, but reluctantly and with a general feeling that everything is temporary. Basically, Billy is not a standup kid, even if he has some redeeming qualities. (l-r) ZACHARY LEVI as Shazam and JACK DYLAN GRAZER as Freddy Freeman in New Line Cinema’s action adventure “SHAZAM!,” a Warner Bros. Pictures release. Photo by Steve Wilkie/ & © DC Comics. Then, Billy is summoned by a mysterious wizard (Guardians of the Galaxy’s Djimon Hounsou) to inherit his powers and become the heroic Shazam (Zachary Levi from “Chuck”). Where Billy felt small and insignificant before, his powers as Shazam seemingly give Billy purpose. 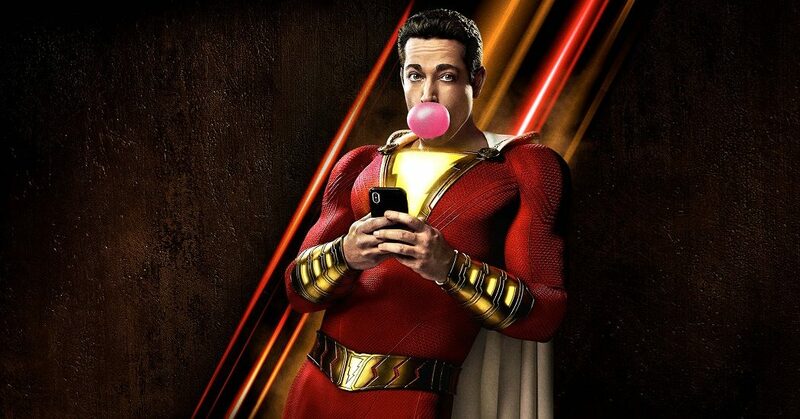 On the surface, though, once Shazam enters the frame, the film becomes a superhero version of Big, with Zachary Levi and Jack Dylan Grazer testing the limits of Shazam’s powers and his reach. In many superhero origin stories, the focus is on learning the hero’s powers but in service of stopping a greater threat. Here, it’s two teenagers playing around with one’s newfound super powers like they would a “borrowed” Ferrari. Eventually, a villain named Sivana (Before I Go to Sleep’s Mark Strong) enters the picture and conflict arises with Billy’s foster family and Freddy, and the film switches gears, but never loses its magic. In fact, even as the CG effects and superhero vs. villain fights ramp up, Shazam! still keeps its message of family, and in some cases, doubles down on it. 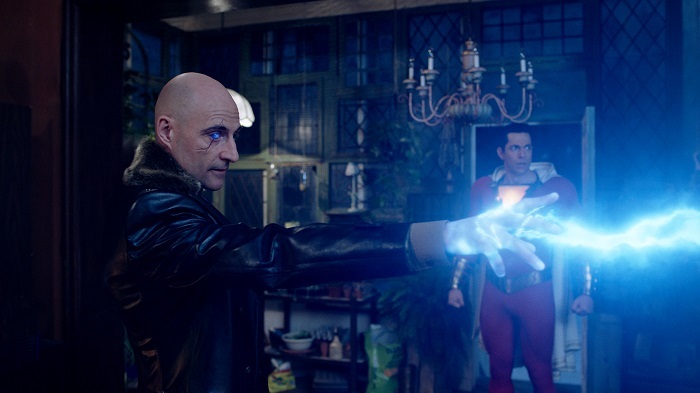 (l-r) MARK STRONG as Dr. Thaddeus Sivana and ZACHARY LEVI as Shazam in New Line Cinema’s action adventure “SHAZAM!,” a Warner Bros. Pictures release. Photo Courtesy of Warner Bros. Pictures. Shazam! is also well cast, with a solid mix of fresh-faced young actors and accomplished veterans like Mark Strong and Zachary Levi. The film toes the line between serious drama and light-hearted super hero romp, and without a strong cast, it would have easily crumbled. Most of all, Levi’s chemistry with Glazer fuels the film as a kid trapped in an adult body and his friend who’s obsessed with heroes. With a strong cast and a solid story, Shazam! delivers an enjoyable ride from beginning to end. It has plenty of laughs, clever twists on the super hero genre, and a great message about the importance and necessity of family in its many forms. Much like its titular hero, Shazam! is a big bright superhero flick that shows the simple approach can still make for a top tier blockbuster. For a superhero film, Shazam! is more a comedy than it is anything else. 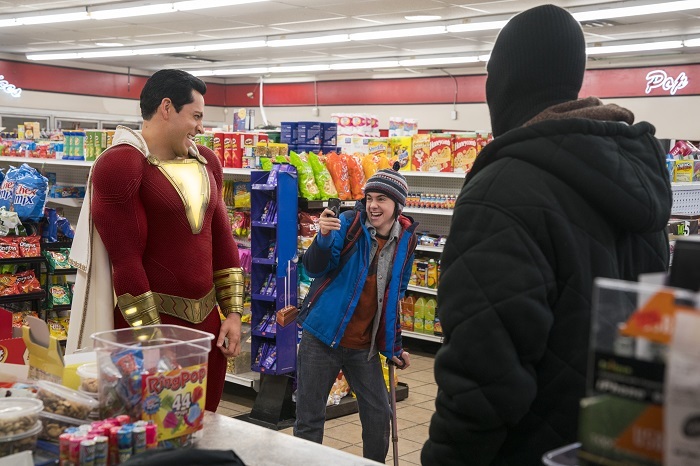 The film consistently tries to elicit a laugh, either through Shazam experimenting with his powers or Freddy’s quick wit. Physical gags and jokes are plentiful in the film, and audiences should end up coming away with smiles on their faces. The big effects are all well done and the drama is there where necessary, but it’s the humor in Shazam! that sets the movie apart and makes it unique.